The Atlas team was in many ways our first client. Several members of our organization have been working with the Atlas team since 2013, even before we launched publicly as a company. 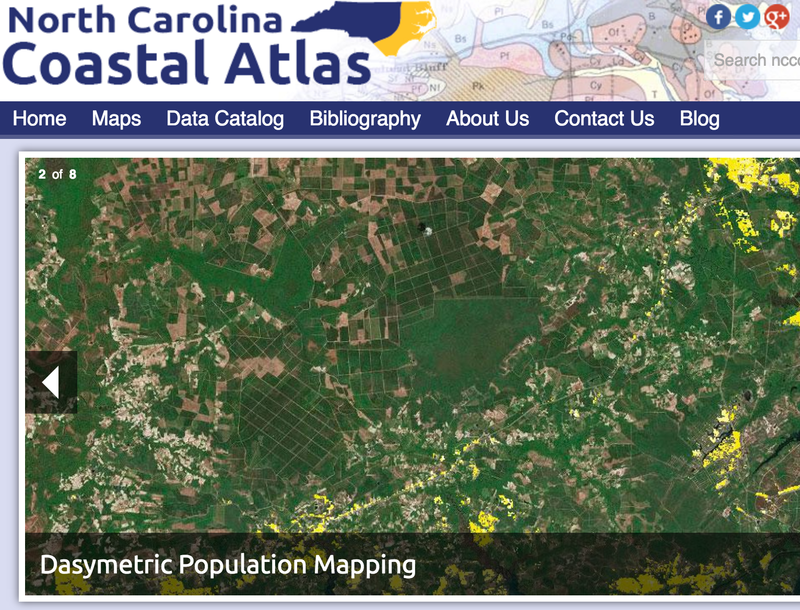 As technologies, online coastal atlases are in their infancy. They provide real-time visualization of important coastal trends (i.e. erosion, land use, flooding, etc.). And there is more data than ever before to fuel these geographic information systems (or GISs). Most online atlases assume users possess expert proficiency with GIS technology, however. This causes a conflict as most of them are also available via public-facing websites. Realizing this, the team behind the Atlas came to us for help identifying user goals for the Atlas and how a planned redesign of the application can better align business goals with user goals. As a grant-funded project housed in a university, the Atlas must constantly deal with the realities of funder priorities, available institutional resources, and the skill sets and technologies associated with contemporary GIS. To that end, we’ve helped them think like a startup by shortening the time they spend on activities like planning and documentation and maximizing their use of available resources in order to rebuild their application in the most efficient way possible. We’re excited to participate in the launch of Atlas 2.0 later this year. Looking for help with user research, usability testing, or other UX skill sets?